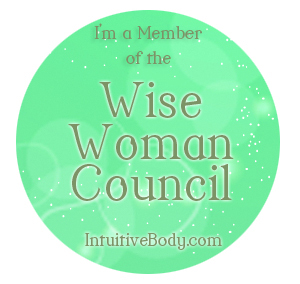 Welcome to October’s free Shared Shaman’s Choice Session in celebration of my birthday – October 10. I feel you, ready for change, ready for love, ready to change the world and to change your heart. These 22 cords of energy – yours and mine – are woven together – bright and beautiful and carrying the light of the Universe. Today the pendulum said first to do an Energy Clearing. Truthfully, the clearing began as the weave of your energy was completed. It moves steady and strong today, sprightly, even. There is pressure in the ears, and ringing – a strong urge to hear….something. Then tingly in the toes, the feet. Time for movement! Dance, I think. And a pressure behind the eyes. At first it grows stronger. Why is it that it is so easy to know the things that hurt us? How can find the knowledge that eases our hurt? How can we know that which brings us pleasure? There is a tremor in the heart. A reminder that the heart knows, the heart can show us just what to learn, just where to go, just when to dance. It is always a good time to dance. And we gently ground, tether ourselves to the wisdom of earth, to her solidness beneath our dancing feet. The pendulum also said to share with you these Butterfly Resonance Images. Everything is movement. Everything is play. Everything is beauty. Her path is never a straight line. Her way defies prediction. As winds arrive, they move her from her intended way. And for her this is joy. This is pleasure. This is what it is to Dance On Life’s Winds. Be ready for change – in the world around you, and within your own heart. Be ready to adjust your path, your expectations, your goals. Be ready. And don’t forget to dance. There are times when the next step is hard to see. Where the path is obscured or the choices are too murky. This is the perfect time to Follow Wonder. Seek Wonder in the ordinary. In the beautiful. In the rare. In the commonplace. Wonder infuses our world, informs our senses, breathes life into all we see. If you pause, if you really look, do you see where Wonder is? What would happen if you followed her? The Beauty of Wonder is that she won’t tell you where she’ll take you, but you know it will open your soul. Are you ready to Follow Wonder with me? In a regular Shared Shaman’s Choice Session, we would be done now. Ready to share this post and feel the bright energy and messages boost our day into beauty and light. Today is not any day. Today is my birthday. And it’s the Free session. So now is the time to share our love and energy with the world. I am guiding our combined light, our powerful and beautiful intention, towards the hearts of the decision makers in the US Government. People are hurting because of their decisions. Let this light find a way to shine in their hearts and soften their will – to let love pour through them and into the lives of everyone who has been affected by this stoppage. May their minds be changed to, so all can return to their work and the services needed by so many be reinstated. Each of you has offered an intention as well. May all of our energy find its way to each of these places – to Malala and Christine and Sage, to Nairobi and the Congo, to Deborah and Runi, to Morrigan and Marci, to Sister and Dad, to Washington and those who are furloughed or out of work, to those who are feeling loss and to those estranged from a family member, to abundance and rebirth and the wave of the quiet revolution. The pendulum guided me to the Tiger’s Eye Wand. I had expected bright fireworks – a strong and vibrant burst of energy. Held to my third eye chakra, this quality of gentleness becomes more clear. It is not a firehose that changes hearts, but the steady and beautiful flow of gentle love. Tears are here. The beautiful flow of love into the world. For hearts to change, they must first feel. And this feeling can be sad and tender. There is bright yellow light here, glinting off the soft shimmering blue wings of a rabble butterflies. Arriving like the kiss of wind, a moment of wonder, for each recipient. Clarity, compassion, hearts awakening. Joyful surprise, deep breaths, beauty recognized. Hearts, gently moved to open and receive. And as I held the wand, a stellar jay arrived outside my window. Jumped up, hopped, stared in the window at me, then flew up and away. A commanding presence to witness. A message for the heart. We must learn to adapt, to change, to make our bright future with what we find today. We must drink in the blue sky – the wisdom of the universe – and reflect it back to the world. We must look deep into the pain of the world and wrap our hearts around it. We will find peace. We will find love. We will move mountains and hearts. With Love. This wraps up our Free Shared Shaman’s Choice Session for October. May you carry this beauty and these messages through your day and into the world. Shaman’s Choice Sessions are Monday, Wednesday and Friday mornings at 10:30 am Pacific Time. If you can, sometime between 10:30 and 11:00 am Pacific time, pause and take 5 deep breaths while you let your energy join ours. Don’t worry if the timing isn’t perfect. Don’t worry if you are busy and can’t pause for more than a breath. Energy works outside of time, and your energy is with us, even if you are can’t be. We feel you, and you can receive all that your heart needs. How did this feel for you? If you would like to, we would love to hear what you felt, how this worked its way into your heart and your day.